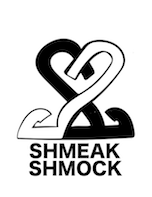 Hello and welcome to Shmeak Shmock Dot Com . This is the home base for the Shmeak Shmock Art Collective. If you're wondering what Shmeak Shmock is, check our definition. On this website you will find my art . As well as the works of my friends , who have come to help and shape who i am as an artist. Projects we've worked on together , and adventures we've had. We have come to a point in human existence , where we have all the tools available to solve most of our greatest problem's . Homelessness , pollution , Starvation they could all be things of the past . Art can open peoples eyes to the atrocities and imbalance that has overtaken our world . Allowing people to view situations with a different perspective . Or change someones perspective entirely. Art is constantly evolving and changing . Because the world is not stagnant , it's constantly moving forward . And art has to keep up to stay relevant . And we are here to ensure that it happens . SEE YOU IN THE FUTURE!! !